The breathable membrane is a three layers membrane. 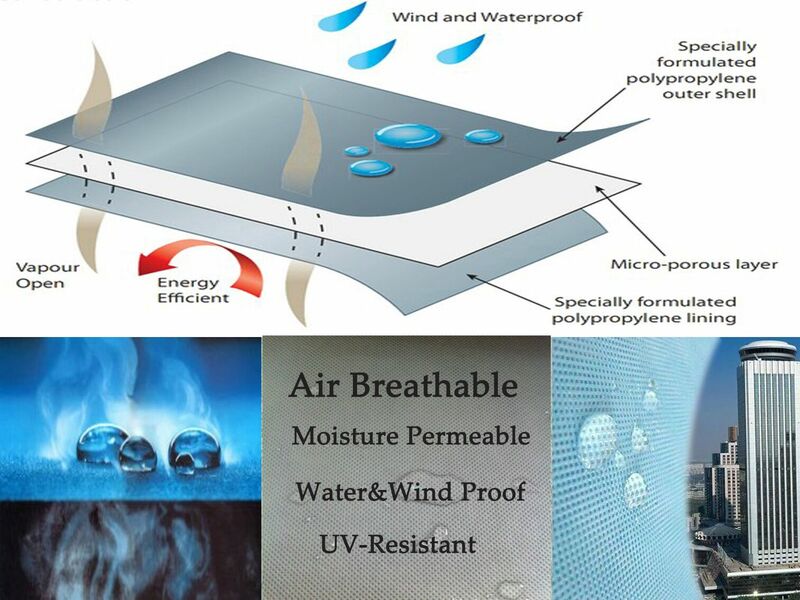 (Thermal laminated by non woven PP + waterproof and vapor permeable membrane + non woven PP). It is a kind of roof deck protection, can protect the construction structure from being eroded by wind and rain and strengthen the gas tightness and water tightness as well as boast good breathability which expels water vapor out of the construction, thus avoiding mould and condensations. 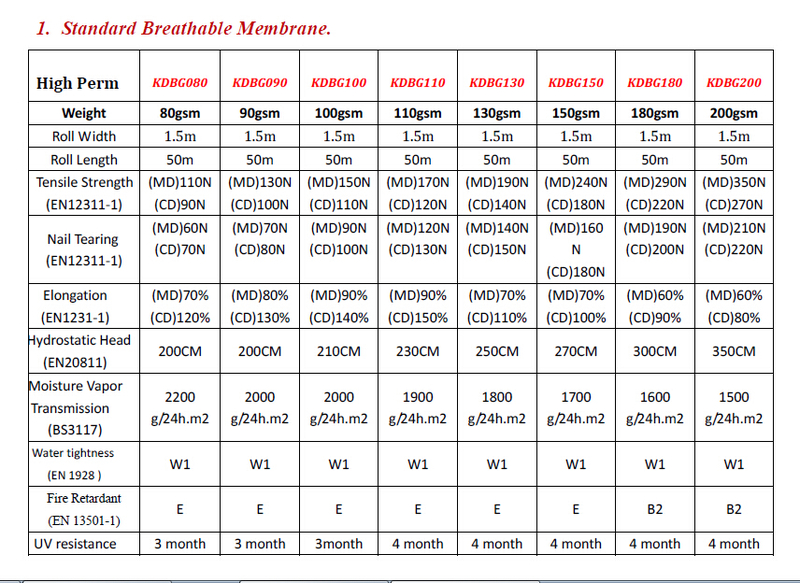 Kangda company produce breathable membrane for years, has advanced technology to control the breathability of membrane, while balance the water resistant function of the membrane. Moisture, please out!